The quantum physicist was ecstatic. He took a jubilant eye away from the microscope, a jubilant step back from his workbench, then turned and jubilantly walked towards the door of his laboratory, in his haste very nearly knocking over a whole assortment of delicate scientific apparatus that had been arranged around the room. He repeated this word several times, and then stopped saying it when he realized that it wasn’t a dramatic enough word for his purpose. Eureka might have been good enough for a naked Archimedes, but times had changed, science had moved on, and the quantum physicist had discovered something with implications that would prove to have far more impact on the human race than the Hydrostatic Law. And he didn’t need to run naked through the streets to make his point. His discovery would make itself apparent to everyone very soon. Having reminded himself of this fact, the young quantum physicist walked quickly out of his laboratory and along the corridor to the Chief Science Officer’s office, desperately trying to think of something pithy, witty, all-encompassing and dramatic with which to announce his discovery. 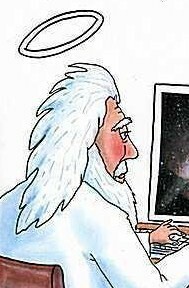 The Chief Science Officer looked up from behind his desk, angry and surprised. He simply wasn’t used to any of his staff simply barging into his office – although due to this just happening, he was able to deduce that the situation justified it, which meant – in short – that one of his staff had discovered something relevant, perhaps even important. The Quantum Physicist’s Revenge was written in February 2009. It was first published in Writer’s Muse, in 2010. 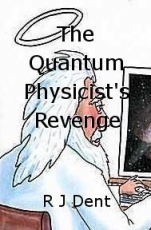 This is a revised version of The Quantum Physicist’s Revenge.